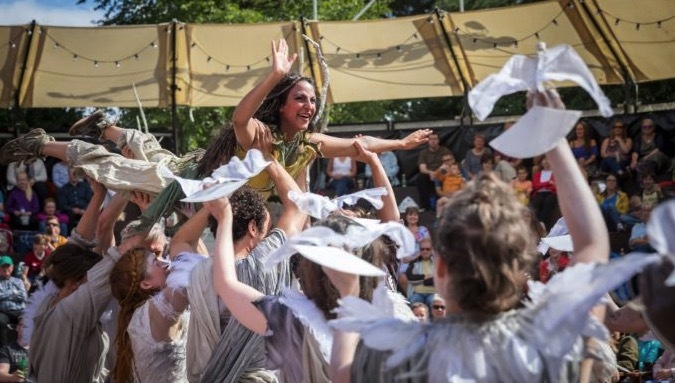 Storyhouse Chester is searching for trainee actors to perform in Grosvenor Park open air theatre productions this summer. Storyhouse is supporting performers and emerging talent by creating “meaningful opportunities” for local performers to move into a career in the arts. The award-winning theatre is looking to recruit four trainee actors aged 18 to 50 to work in its professional acting ensemble. Performers will take roles in unique productions of Twelfth Night and Henry V performing at Grosvenor Park open air theatre. Storyhouse wants both male and female performers who are looking to further or start their training as actors. The performers will be paid trainees, and receive mentoring and support from the Storyhouse team throughout their contract. “This opportunity is not for professional actors who have already completed training. We need four performers. Two each for Twelfth Night and Henry V.
We are looking for people who are smart, imaginative and resourceful. You must feel comfortable working with the text and have a strong vocal quality to deliver it. Music and magic skills are a bonus but not essential, but we are looking for a confident singer and movers. You must be be fully available from Tuesday 2 July to Sunday 7 July for Twelfth NightTech Week or Tuesday 23 July to Sunday 28 July for Henry V Tech Week. “The auditions will be a group based workshop led by Loveday Ingram (director of Henry V) and Alex Clifton, Storyhouse’s artistic director. There will be some group singing, movement and acting within the 3 hour session. Email helen@storyhouse.com for an application form and audition slot. Storyhouse welcomes all applications from people within the community and we would particularly welcome applications from BAME and disabled applicants.